MADISON, WI (KTRK) -- JJ Watt donated $10,000 Friday to a family who lost their father in a car wreck last weekend. Kirk U'Ren, 37, had died in a crash on Highway 30 on Sunday, and his wife, Jenni Steiner, is in critical condition. Kirk U'Ren left behind 1-year-old twin sons Kaden and Grayson. 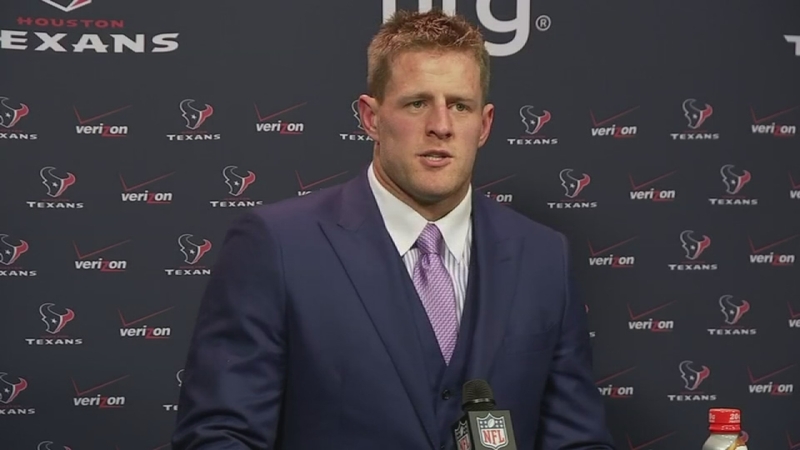 According to a message Watt left, U'Ren helped the Justin J. Watt Foundation. Watt made the donation on the YouCaring page set up by Baker Tilly and Pepsi-Cola of Madison, where the husband and wife worked. He left a message saying, "This is terrible new to hear. Kirk was a big help to our foundation in the early years and was always so energetic and upbeat. My thoughts are with Jenni and the whole family and if there is any way that I can help, please let me know." Between the YouCaring page and a GoFundMe account, $100,000 has been raised for the U'Ren family.